President Donald Trump created a special commission to come up with ways to make schools safer after a string of school shootings earlier this year. He also said that media coverage of shootings encouraged copy-cats. Bevin was on a panel of local officials from Kentucky, Ohio, Tennessee and Wisconsin. The discussion focused on mental health and security like putting more law enforcement in schools, but there was no discussion about gun control. Wisconsin First Lady Tonnette Walker was one of the panelists. She disagreed sharply with Bevin’s focus on cell phones, saying that schools need to reach out to children affected by abuse, neglect and trauma. After lawmakers left, a few members of the public spoke. Tiasha Ragland, Shermaine Cowans and Shenay Berryman, students from Frederick Douglas High School in Lexington. They were friends with Trinity Gay, the daughter of Olympian Tyson Gay. Trinity was killed in crossfire when she was 15 years old. Tiasha said "guns don’t surprise me any more. So far, we have been lucky." "But what about next time? I think about it constantly, when am I going to die or what is it of?" Shermaine said. The commission’s members say they’ll produce a report with school safety recommendations later this year. 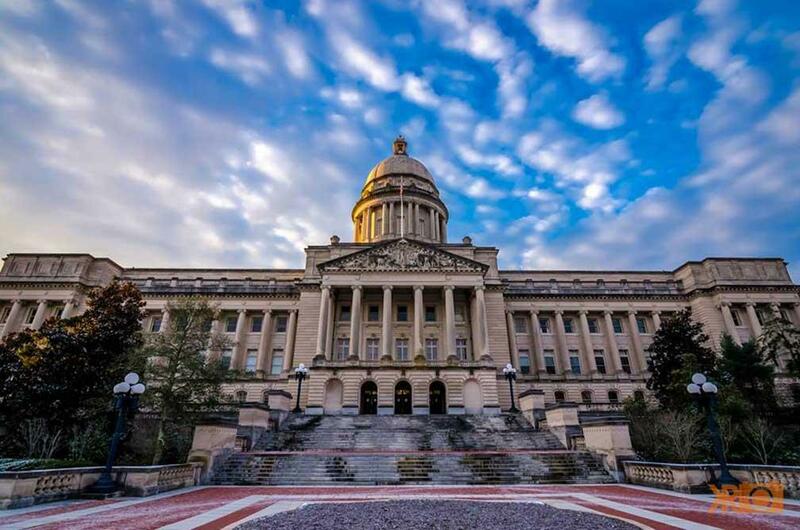 Also this week, one of the state lawmakers who helped pass the recent overhaul of Kentucky’s pension system says the legislature will pass the bill again if the state Supreme Court strikes it down. Louisville Republican Rep. Jerry Miller chaired the surprise committee meeting where the pension bill was presented before passing out of the legislature in a matter of hours. “Procedural violation or not, depending on what the Supreme Court rules, we’ll still have that need and I believe the legislature will muster the will to get that done,” he said. A lower court ruled that the pension bill was unconstitutional because lawmakers didn’t formally present the bill on three separate days before voting on it. Lawmakers frequently override the “three readings” requirement, especially late in the legislative session. Gov. Matt Bevin has said he will appeal the case to the state Supreme Court. In other news, Kentucky’s new education commissioner says taking over Louisville’s public school system will be costly…but worth it. Interim Education Commissioner Wayne Lewis last month recommended a takeover, saying the district had a pattern of improperly restraining and punishing students, among other findings. Lewis said he couldn’t discuss specific costs of the potential takeover until the state board of education approves it. Democratic Rep. Rick Rand argued that Lewis should present his plan for managing the district before the board decides whether to enact a takeover. A hearing over the takeover will take place in the late summer or early fall.